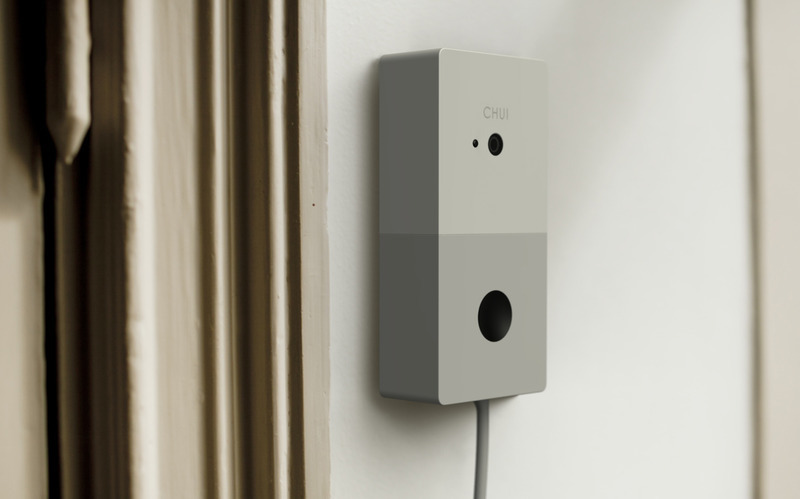 Chui – The Smartest “Smart” Doorbell Ever! Well, I’d like to introduce you to the doorbell of my dreams… Meet Chui. The Chui is certainly not the first “smart” doorbell, but it may very well be the smartest one. Chui lets you to talk to whoever’s at your door via a mobile application, or you can opt to leave a prerecord message, say, for the mailman or FedEx guy, Yes, Chui can actually identify him, and play that message just for him. Did your husband come home late yet again? Let Chui tell him his stuff is at the hotel in town, along with his precious golf clubs..
Perhaps you have an annoying neighbor that’s always needing something, put him on the do not disturb list and Chui will not even bother you with a notification. On the other hand, when Chui is connected to a compatible internet connected lock, he can recognize, and automatically unlock doors for your beloved friends and family, or conversely you can opt to do it manually, via the mobile application. Chui is also a motion detector, can read QR codes, and alpha numeric passwords, adding even more security. He seems to be everything you’d want in an intelligent doorbell, and more. If you would like to have Chui in your home, please visit getchui.com right away, you can pre-order now, for under 200 bucks, shipping Fall 2014, I just hope it’s before Halloween….